Join us this Wednesday - 16 March on twitter from 1pm - 3pm for the Blaze and the monster machines twitter party! 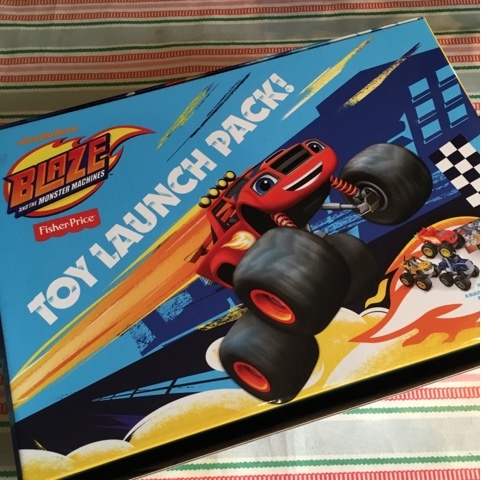 We've got some awesome Blaze toys to show you from the new range. 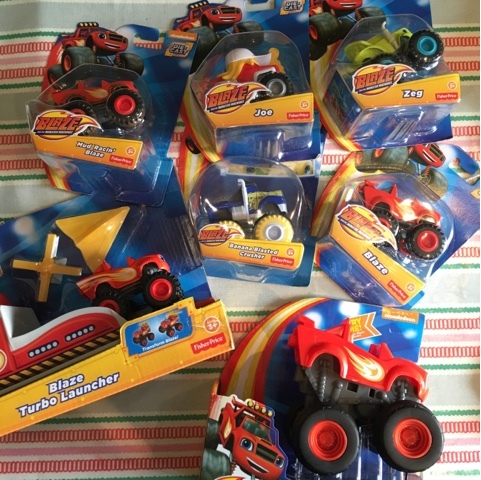 The Blaze die-cast vehicles retail at £4.99, are really high quality and well made by Fisher-Price, these are available in Argos and Smyth's Toys Superstores now. These are available in all the monster machines characters. Blaze Turbo launcher - Ts favourite! This retails at £12.99 and comes with a blaze die-cast vehicle, the turbo launcher can also be used with any of the die-cast toys, making it a great versatile toy. You can tilt the adjustable ramp to change Blaze's trajectory - great for teaching early maths! And the transforming Blaze jet is lots of fun for little hands, with flying sounds and action phrases this is a great toy and retails at £19.99. Also available from the Fisher-Price range are Talking vehicles, Slam and go vehicles and speedboat Blaze. We'll show you the toys in action on Thursday after our Blaze and the Monster Machines party! 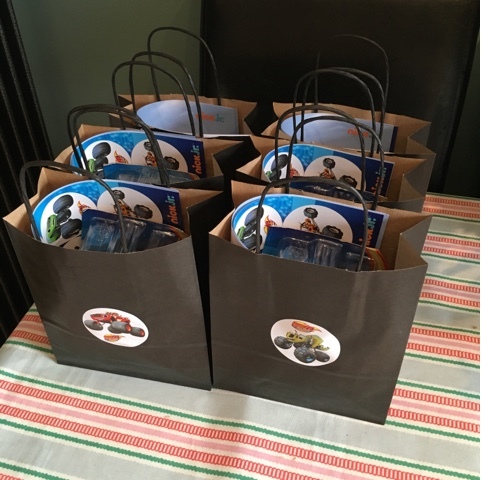 Our goody bags and toy launch pack are all ready for Wednesday. 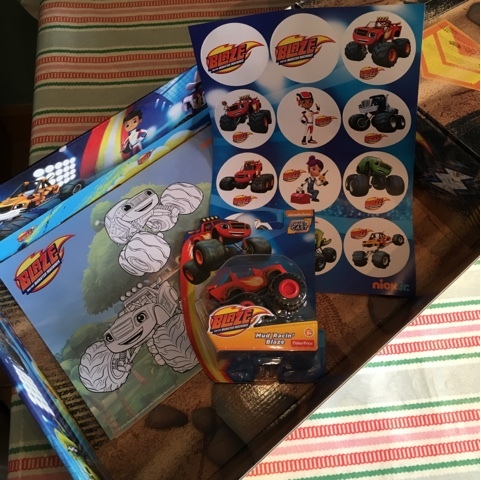 We'll be sharing photo's from our party on Wednesday and will also have a round up blog post on Thursday showing a range of Stem Activities for kids based on Blaze and the Monster Machines. Make sure you join us over on twitter using #NickJrBlaze and tune into an hour long special episode of Blaze and the Monster Machines on Nick Jr (Sky channel 615, Virgin 715 and Talk Talk 318) at 2pm.